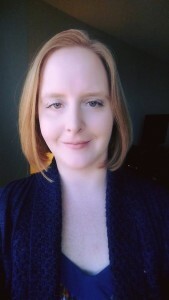 Michelle Buchanan has been accepted to present at the University of Puerto Rico at their Symposium for Special Education, Gifted and Twice-Exceptional learners in May 2019. The presentation, with Dr. Debbie Dailey, will be on the topic of challenging and engaging gifted students in STEM. 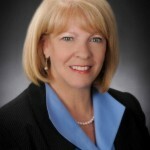 Michelle was also recently selected to be a member of the CEC-TAG Board of Directors in the role of Public Relations Coordinator for 2019-2020. Jeannie earned a B.A. in Fine Art and a Master of Liberal Arts from Arkansas Tech University. 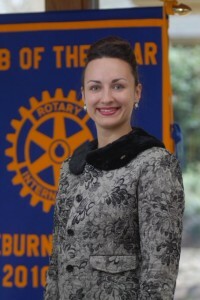 She is a poet and an artist and will be featured in a solo performing arts show in Fayetteville in August 2019 and will deliver a lecture on her research to the Arkansas League of Artists in October 2019. The working title of her dissertation is The Art Leadership of Alice Walton and the Formation of Crystal Bridges Museum of American Art. 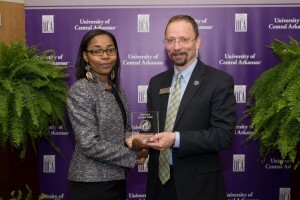 Students and affiliated faculty from the LEAD program came together with other community members at UCA’s Center for Community and Economic Development event, Leading For Change, Saturday, November 3, 2018, to discuss topics like social, economic, and racial equity in Arkansas, community development, resilience, and sustainability across the state, and factors that impacts those. Key takeaways were the influence the information had on our need to be engaged in growth and change for our communities and the validation that it takes all of us working together to make those steps toward positive and impactful change. 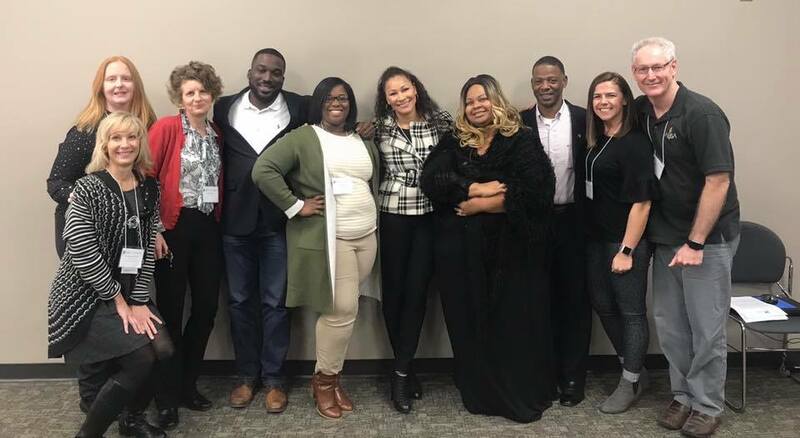 Pictured here: Dr. Rhonda McClellan, Emily Lane, Claudia Utley, Reggie Hill, Veneta Fricks, Sharon Lanier, Shannon Clowney-Johnson, Ethan Dunbar, Jennifer Saxton, and Dr. Malcolm North. 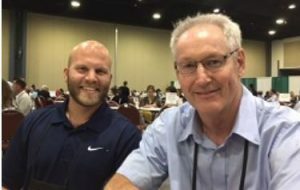 In October 2018, several LEAD students, alum, and faculty attended and presented original research at the annual International Leadership Association Conference held this year West Palm Beach, Florida. Research presentations included topics focused on authentic leadership for progress, peace and prosperity. Presenters included LEAD students Amber Harbin, Larissa Collier, Sarah Argue, Josh Wilson, Harvell Howard and faculty, Dr. Rhonda McClellan and Dr. Malcolm North. 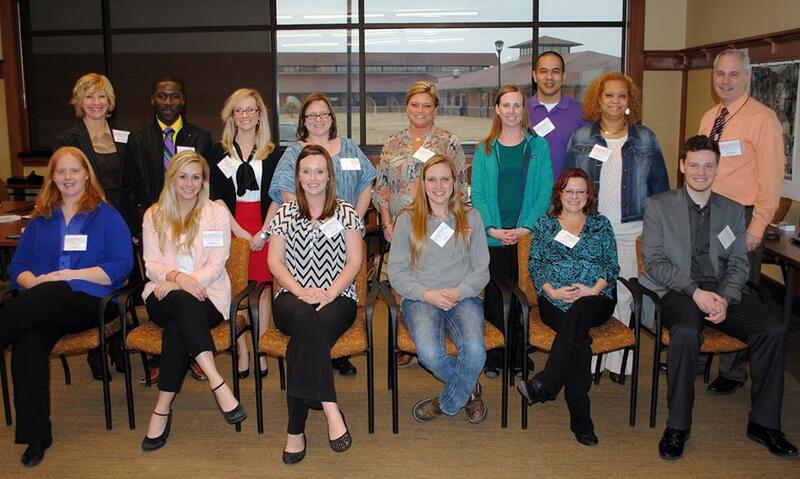 LEAD alum Kateryna Ligon and student Courtney Bryant recently graduated from Conway Area Leadership Institute. 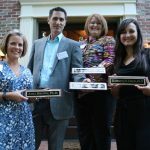 The Conway Area Leadership Institute prepares emerging leaders to serve the Conway community. LEAD students Jeannie Stone and Emily Harris were heavily involved in the planning and execution of Water About Us and Eco+Arts Fest in October 2018. Jeannie worked to secure volunteers at both events as well as several supporting events in Conway during that week, including the Light Up the Night. Jeannie’s nonprofit project, “Our Front Porch,” also offered entertainment and art and welcomed festival-goers. Also, her dissertation focus is the efficacy of arts leadership in creating flourishing communities. Emily Harris coordinated water-related educational displays on the pool patio. 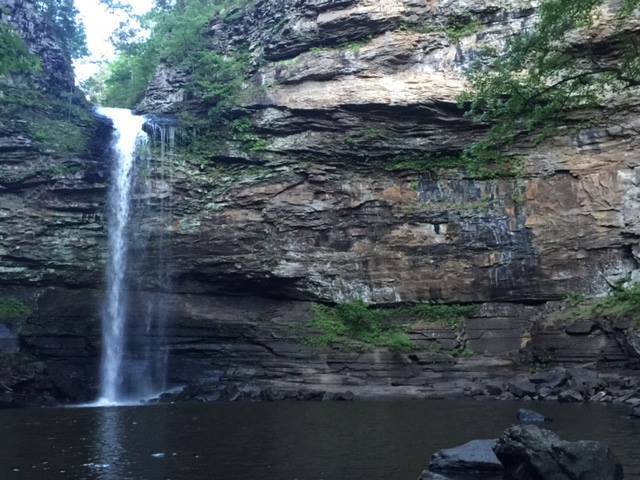 Central Arkansas Metroplan provided information about their effort to protect safe drinking water sources. 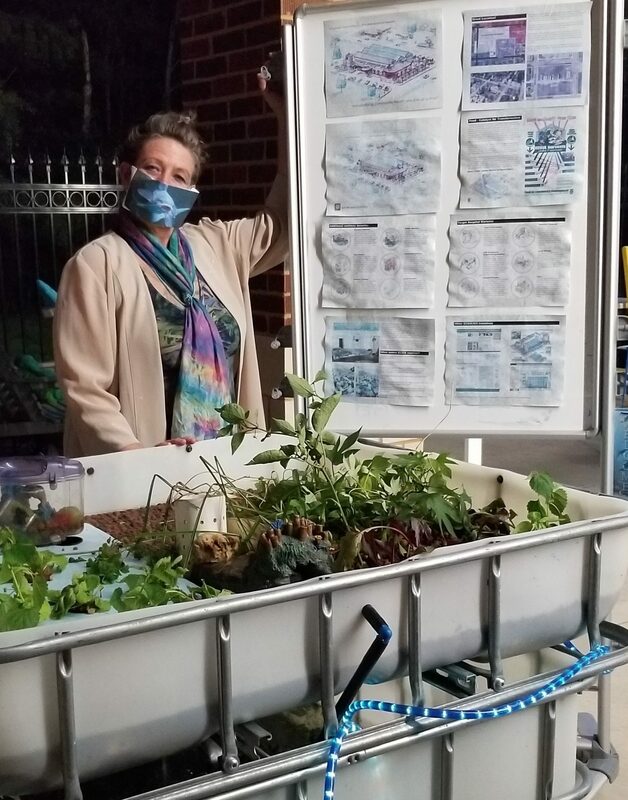 An operating Aquaponic “cut and flip” system built by Slye Gardens from a 325 gallon IBC (International Bulk Container) tank and information concerning the use of these systems to promote community health was on display. The October 2018 LEAD Newsletter contains additional information about the event. 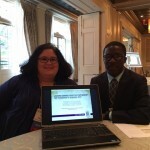 LEAD student, Joyce Ajayi and alums Drs. 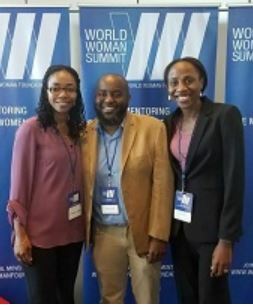 Malcolm Glover and Mariama Balla collaborated to support World Woman Summit 2018. The event was held at the Clinton Presidential Center on October 12, 2018. This year the summit focused on accelerating women’s leadership in a bold new way to support the Sustainable Development Goals of 2030. A wide range of sessions designed to inspire action and fuel creative fires were delivered. The sessions covered six core pillars: Entrepreneurship, Technology, Finance, Health, Education, and Sustainability. Shannon Clowney-Johnson was recently awarded the Exemplary Teacher of the Year Award at Philander Smith College for 2018. This award is given by the General Board of Higher Education and Ministry of the United Methodist Church. This award recognizes faculty who have been nominated by their institution’s leaders for exceptional service to the school and excellence in education. 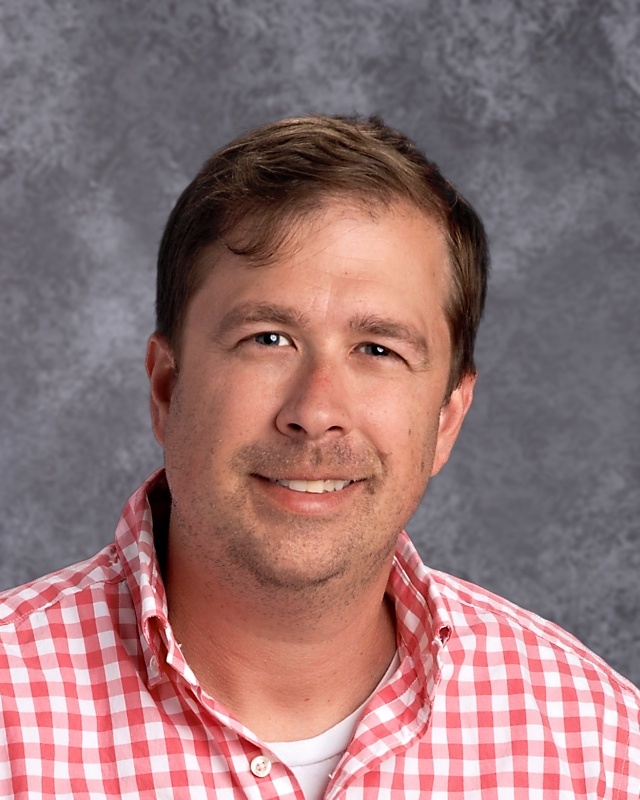 The NEA Foundation, a public charity founded by educators for educators, recently named Cody Vest as a 2019 NEA Foundation Global Learning Fellow. As a Fellow, Cody will spend a year in a peer learning network, building global competency skills: the capacity to understand and act on issues of global significance. The Fellows reflect the diverse workforce of public education, which allows them to learn from each other and to bring global perspectives to a wide range of students. 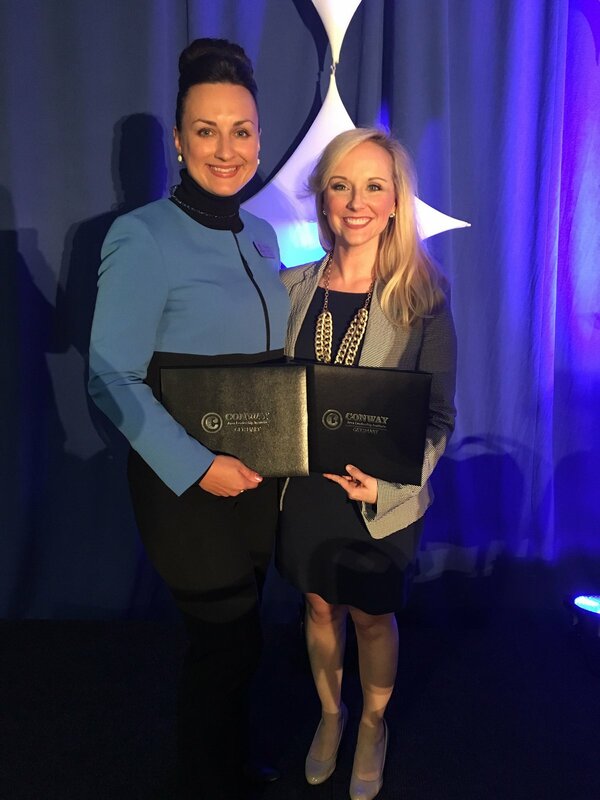 They share a passion for global education and an unwavering commitment for preparing America’s students with 21st century skills. The Fellows will participate in an international field study in South Africa in July 2019. The field study brings the cohort together as they investigate the historical and cultural context of South Africa with local educators, students, administrators, and policy-makers; make school visits; and hear from business and non-profit leaders. 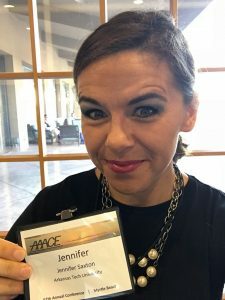 Jennifer Saxton presented Fostering Connections for Adult Learners in Online Programs: A Faculty Mentor Approach at the 2018 AAACE Annual Conference in Myrtle Beach, SC, on October 4. Her presentation highlighted Arkansas Tech University’s Faculty Mentor Program within the Bachelor of Professional Studies undergraduate degree program, and included discussion of barriers to success for adult learners, the purpose of mentors in higher education, specifics about the BPS mentor program, and ongoing research that captures the effectiveness of the program. 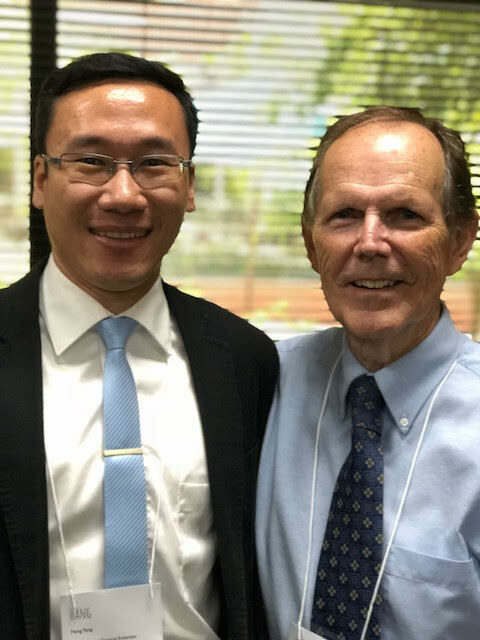 Alum, Dr. Armstrong Yang, recently presented on the topic of Boundary Spanners in University-School District Partnerships during the Arkansas Association of Teacher Educators (ArATE) Conference at Harding University on September 15, 2018. 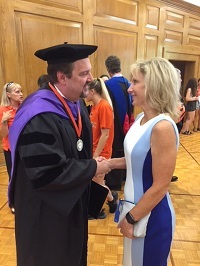 Alum, Dr. Lyle Rupert, in the summer of 2018, was installed as the C. Louis and Charlotte Cabe Distinguished Professor at Hendrix College. 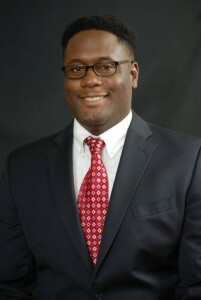 Additionally, he was recently awarded the Exemplary Teacher of the Year Award by the General Board of Higher Education and Ministry of the United Methodist Church, the Carole L. Herrick Award for Excellence in Academic Advising, and the Faculty Appreciation Award given by the graduating seniors. 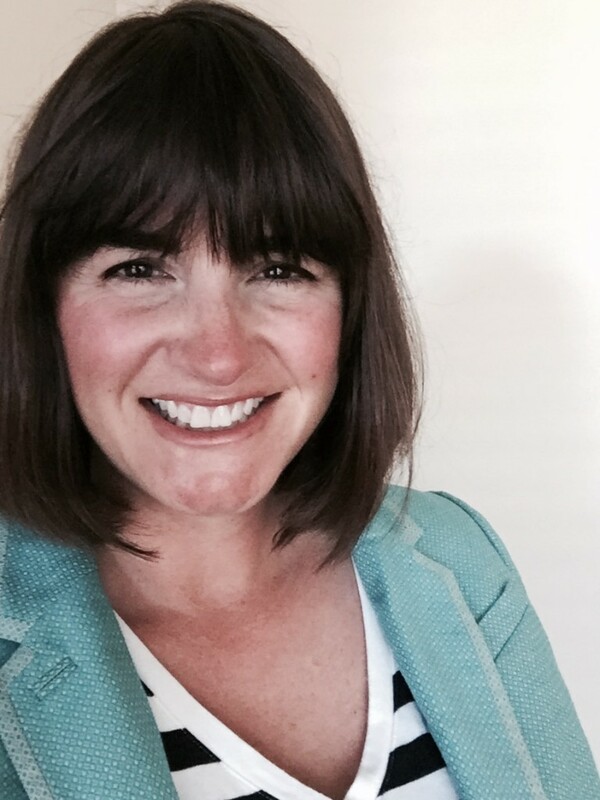 Sarah Argue accepted an invitation to participate in the David L. Clark National Graduate Student Seminar in Educational Leadership and Policy at the AERA National Conference. Only a small number of graduate students are invited to present and discuss their research at this event. The David L. Clark National Graduate Student Research Seminar in Educational Administration & Policy, sponsored by the University Council for Educational Administration (UCEA), Divisions A and L of the American Educational Research Association (AERA), and SAGE Publications, brings emerging educational administration and policy scholars and noted researchers together for two days of presentations, generative discussion, and professional growth. 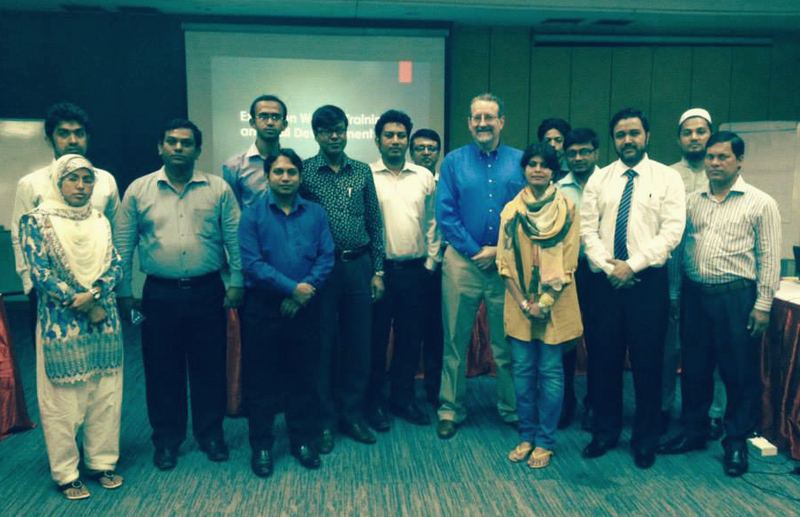 Many of the graduates of this seminar are now faculty members at major research institutions across the globe. 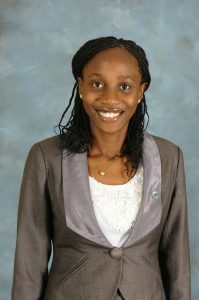 Jumoke (Joyce) Ajayi-Adegor has been working on a County Web Transparency project with the Arkansas Center for Research in Economics (ACRE) at UCA. 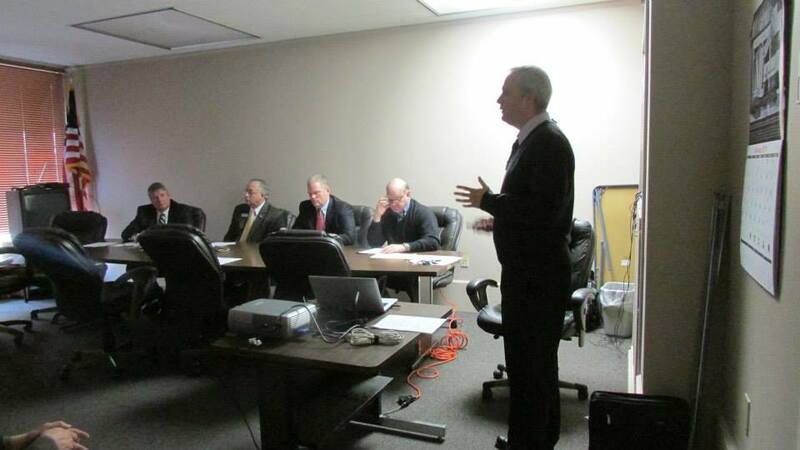 The goal of the study is to create a web transparency index for Arkansas counties. The index serves the purpose of informing citizens how transparent their county is in comparison to other counties and it will be used as a tool for assessing the relationship between transparency and various economic and socioeconomic factors. Jumoke Ajayi-Adegor presented the results of the study with colleague, Terra Votaw, at the 20th Annual Academic Conference of the Society of Business, Industry, and Economics (SOBIE) on April 11-13, 2018 at Sandestin Golf and Beach Resort, Florida. She also presented the paper at the College of Business Research and Project Presentation day on April 19, 2018 and was awarded the Research 1st prize in the graduate category. 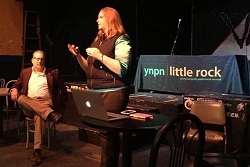 Emily Lane and Jack Boles facilitated a professional development workshop in February 2018 for the Little Rock chapter of the Young Nonprofit Professionals Network. Inspired by the work of Michel Foucault and Kevin Cashman, the interactive workshop focused on leadership and well-being “from the inside out”. Participants explored notions of leading from the self, authenticity, influence, and value creation. Students and affiliated faculty from the LEAD program participated in “Living on the Edge: A Poverty Simulation”. The Community Development Institute at UCA hosts the event regularly and emphasizes that the simulation “is not a game but an experiential exercise that allows participants to view poverty from different angles.” The goal of the simulation is to “move community leaders to think about the harsh realities of poverty and to talk about how communities can address the problem.” See local news coverage of the event here. Congratulations to Amber Harbin who recently was named the Little RockSchool District’s Middle School Teacher of the Year! 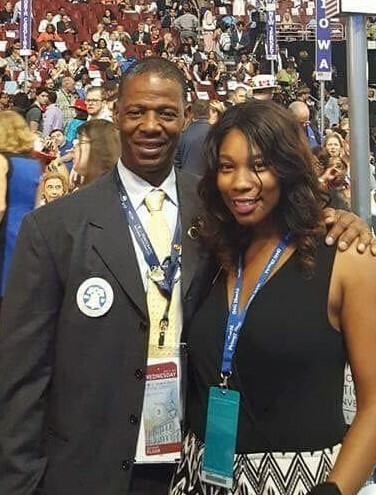 Way to go, Amber! 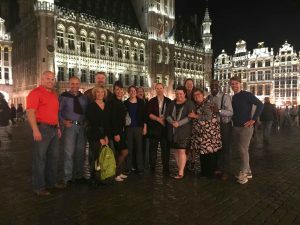 In fall of 2017, several LEAD students, alum, and faculty attended and presented original research at the annual International Leadership Association Conference held in Brussels, Belgium. Research presentations and posters included topics focused on well-being and leader identity in doctoral students, adolescent leadership development to combat health disparities, probable causes of murder in the United States, and measurements of followership. Five of our students also participated in the Student Case Study Competition and showcased their knowledge of leadership through the analysis of a contemporary socio-political problem on the global level. Our team made it to the final round of the competition. Congratulations! 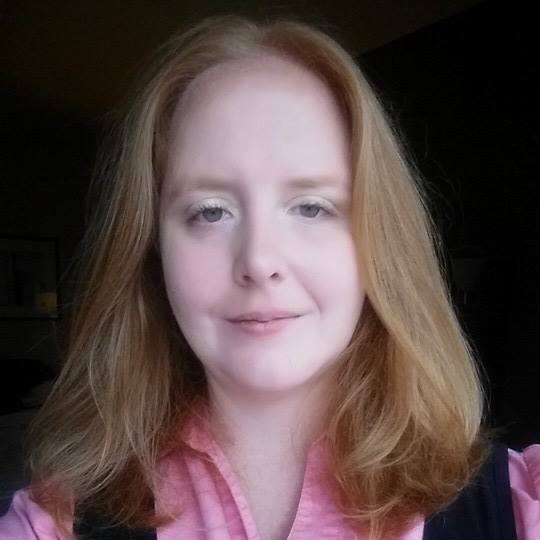 Emily Harris also participated in the Emerging Scholars Research Consortium and had the pleasure of being mentored by Barbara Crosby, a heavy-hitter in the field of cross-sector leadership. Congratulations to everyone who presented and participated! LEAD students, faculty, and staff recently welcomed our incoming cohort 2017 and celebrated our graduates from the past year. Congratulations to our new students: Joyce Ajayi, Laura Bowles, Larissa Collier, Emily Freeman, Jordan Mays, Tom Nowlin, Daniel Orellano, Stephanie Rizzo, Andrew Sherrill, and Michael Turley. Congratulations also to our Graduates: Kris Bertelsen, Sara Brown, Leah Horton, Elizabeth LeQuieu, and Kateryna Ligon! 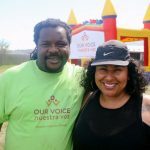 Congratulations to Henry Jones, co-founder of Nuestra Voz in New Orleans, Louisiana. Nuestra Voz NOLA will be receiving the Diana Lewis Citizen Participation Award from the Committee for A Better New Orleans. Go Nuestra Voz! 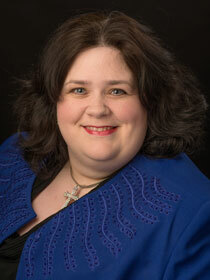 Congratulations to Jeannie Stone who recently presented at the Arkansas League of Artists. Jeannie spoke about her work with integrating arts in the community, and shared information about her trip to Puerto Rico where she will be studying how the arts have been integrated to revitalize urban communities in decay and connect rural communities in isolation. 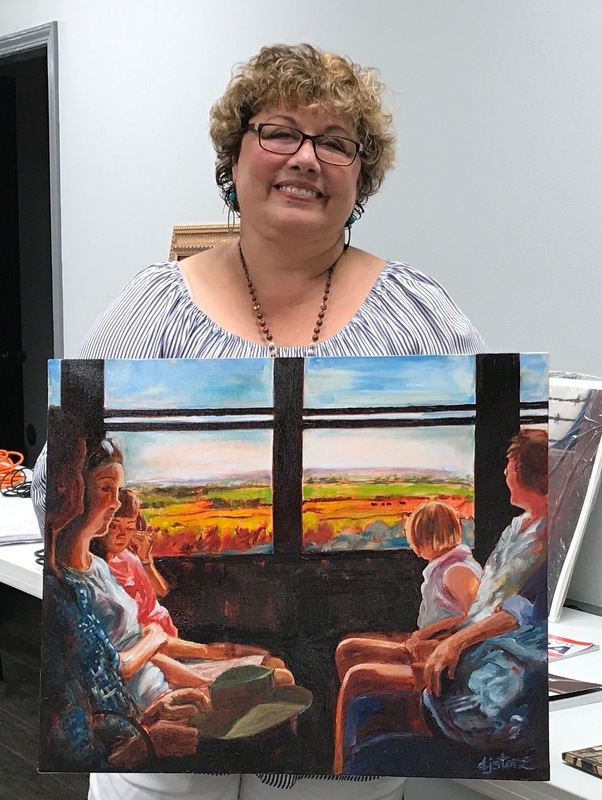 Shown here is Jeannie’s most recent oil painting of a family connecting with each other and nature, as opposed to the vast online world, while traveling. 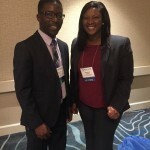 Congratulations to Chassidy Cooper and Shannon Williams who facilitated their presentation, “Academic Coaching: A Crossroads to Student Retention” at the NACADA Region 7 conference in Tulsa, Oklahoma. 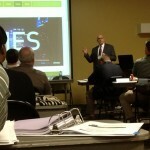 Over 60 participants attended this interactive presentation. Congratulations also to Amy Thompson for being appointed as UCA’s representative to the R.I.S.E. team which is the governor’s and commissioner’s new initiative! The 2016 Election Night Watch Party was a success! There were around 250 students, faculty, and community members who came out and enjoyed the Watch Party. We had several games that people participated in including, bike races, pin the tail on the donkey, and an impersonation contest. 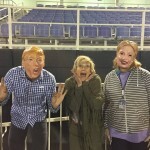 The election results were watched by all on the jumbotron at Estes Field. MSCED students, PhD in Leadership students, UCA faculty and staff members, and local community partners attended a free, one-day community and economic development training event. 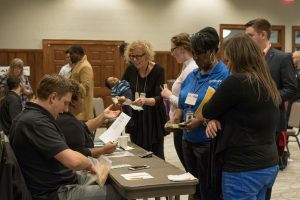 Presenters represented a variety of statewide organizations such as the Arkansas Economic Development Commission, the Arkansas Community Foundation, the Winthrop Rockefeller Foundation, and UCA’s Center for Community and Economic Development. 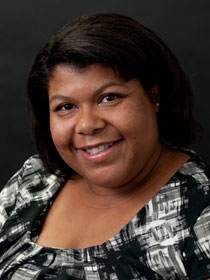 Shannon Williams recently presented at Arkansas’s annual joint student affairs Partners for Student Success Conference (PSSC). 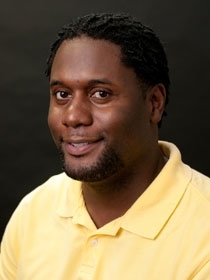 His work is titled “Understanding How Psychosocial Factors Influence the Retention of African American Males in Higher Education” and “Retention through Coaching: An Effective Approach to a Critical Issue”–which was co-authored by Chassidy Cooper. 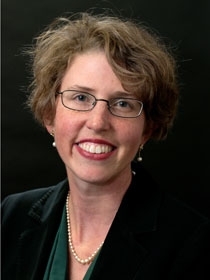 Congratulations to Emily Lane who was recently featured on an NPR affiliate station, KUAF, as interim director of a new statewide advocacy group–Arkansas Environmental Justice Network. Listen to the radio broadcast here. Way to go Emily! 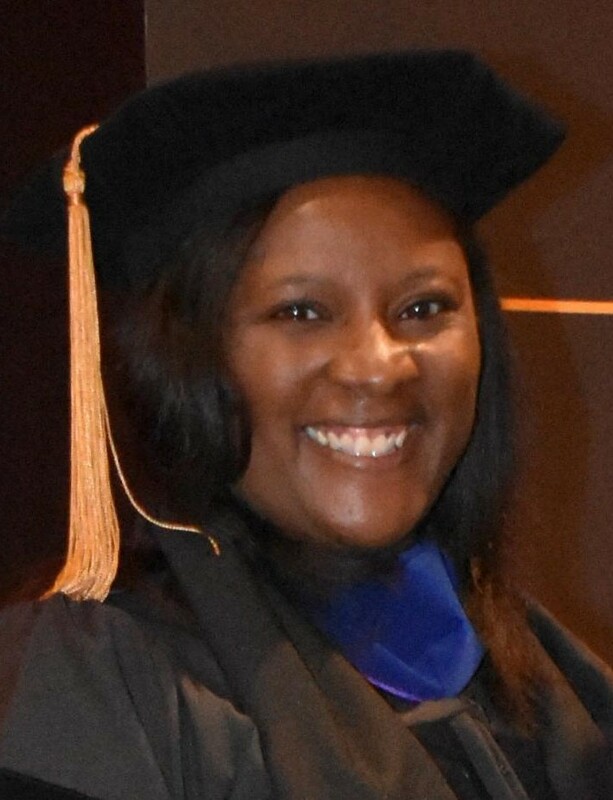 Congratulations to alum, Dr. Barrett W. M. Petty! 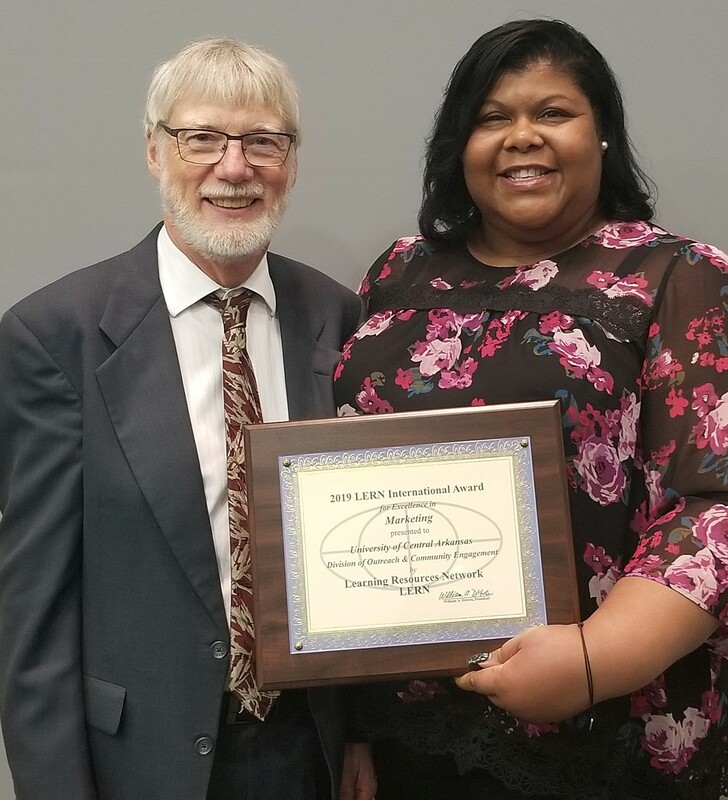 His dissertation, “Factors That Contribute to the Completion of Programs of Study at Arkansas Institutions of Higher Education for African American Males,” has been selected as the recipient of the 2017 Association of Teacher Educators Distinguished Dissertation in Teacher Education Award. 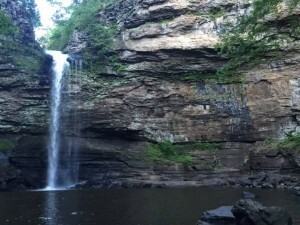 Emily Lane was featured this month in a two-part news story on our local ABC affiliate (KATV) about her advocacy work related to environmental justice. Check out Part 1 here and Part 2 here. Congrats Emily! 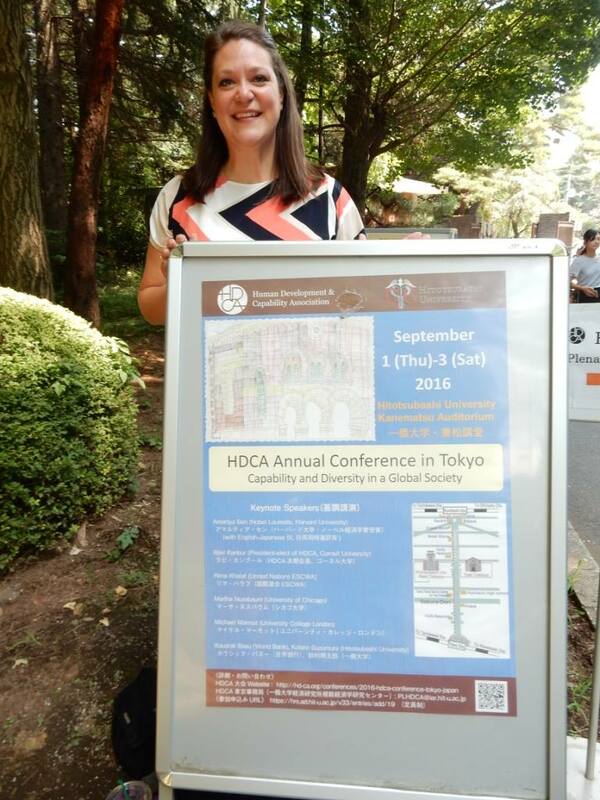 Congratulations to Sarah Argue for her paper presentation in Tokyo, Japan at the annual Human Development & Capabilities Association conference. 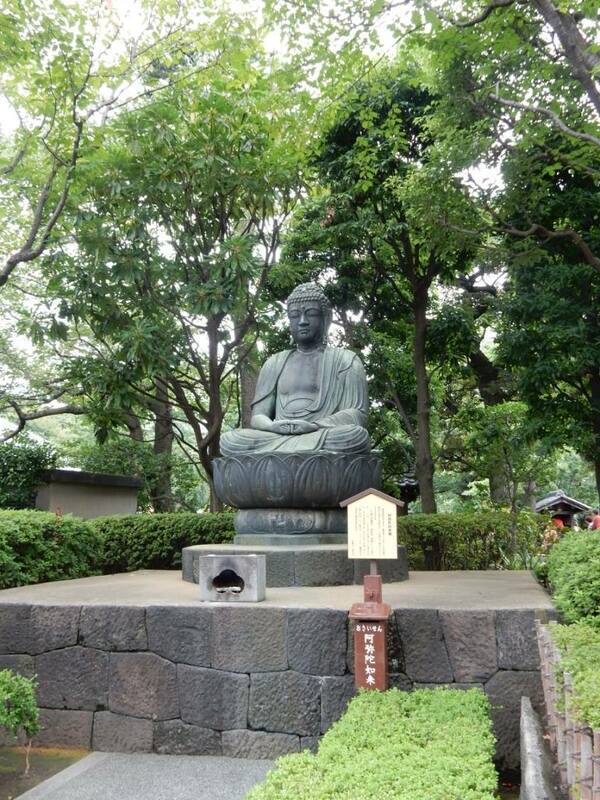 Sarah presented a paper on the Opportunity to Learn Standards, and she really enjoyed her trip! Way to go, Sarah! 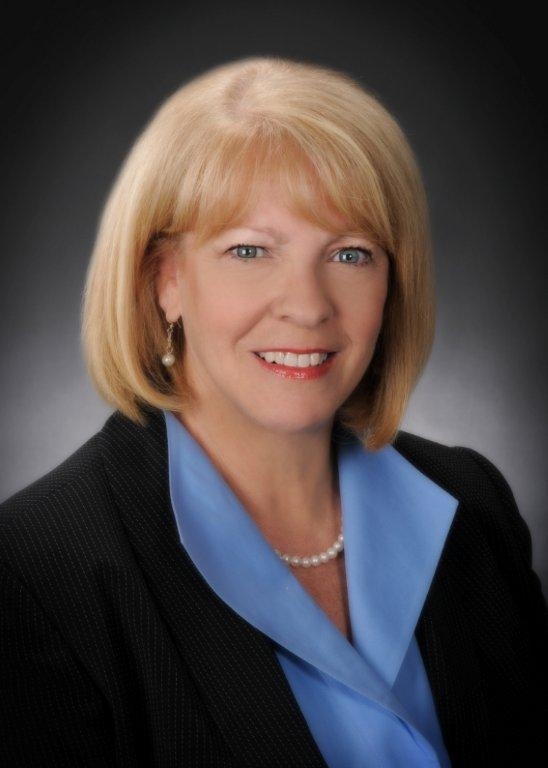 Emily Lane was featured in Arkansas Business recently about her stance on the negative impacts of natural gas development and the boom/bust cycle of energy extraction. See article here. Emily was also featured in a news segment by 4029tv.com about earthquakes in Arkansas. Watch report here. 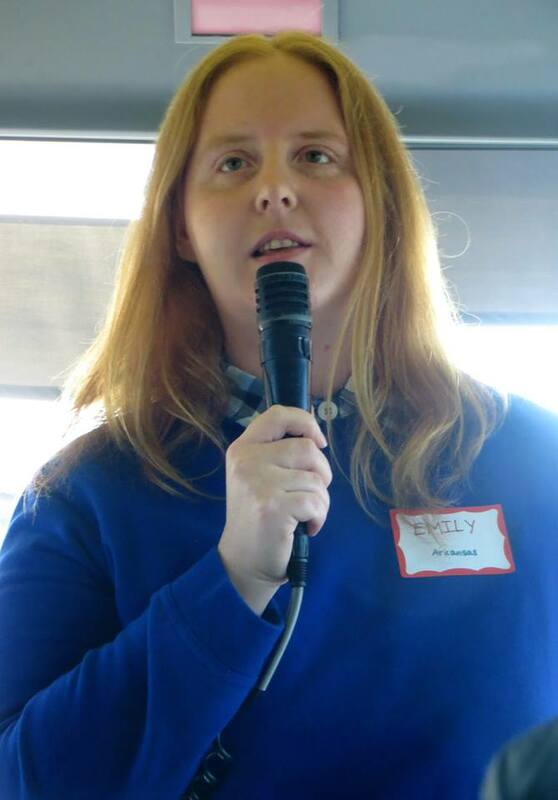 Congratulations on your recent media appearances, Emily, and keep up the advocacy work. 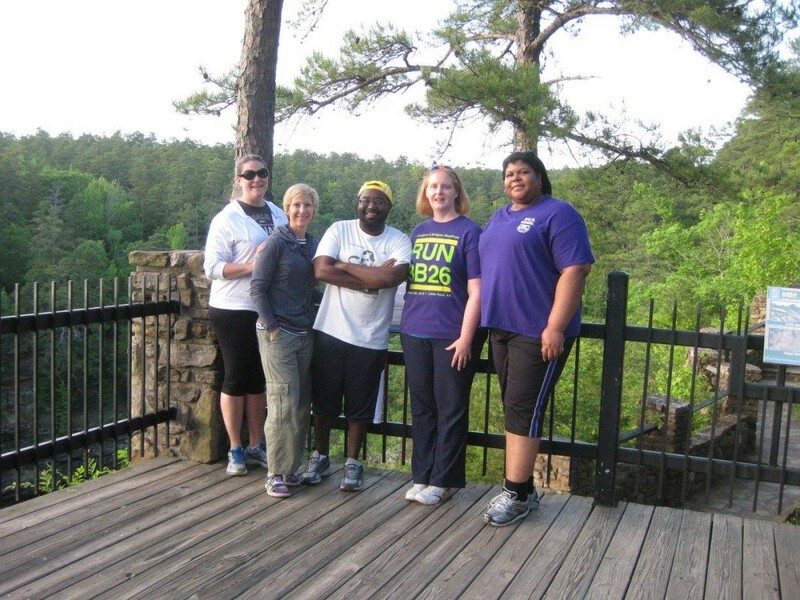 LEAD students and affiliated faculty recently attended the 68th Annual conference for the Arkansas Public Health Association in Hot Springs. 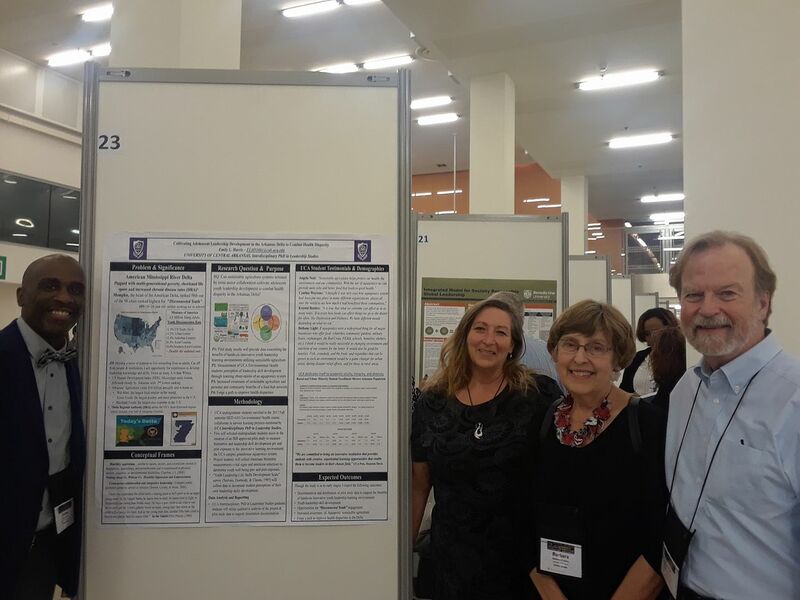 Students (Emily Lane, Sarah Argue, Shanon Brantley), along with Dr. Rhonda McClellan, presented a poster from a field-based research project focused on health and well-being in the Arkansas Delta. Hattie Scribner presented her dissertation proposal work that looks at leadership implications for the aging population in the state. 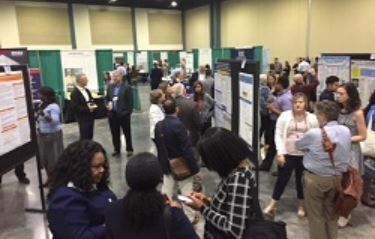 Affiliated faculty member Dr. Duston Morris also presented a poster on a current research project looking at use of alternative smoking devices among minority youth and young adults. Amy Thompson and Shannon Williams presented at the National Association for Alternative Certification Conference in New Orleans. 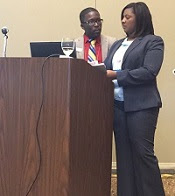 Williams and Thompson presented a roundtable presentation entitled, “Lessons Learned from the Partnership for Transition to Teaching.” Way to go you two! 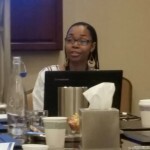 Emily Lane presented at the National Environmental Justice Conference and Annual Conference on Health Disparities in Washington, DC. Her presentation focused on the utility of art in human development and environmental justice. Emily also facilitated a hands-on training workshop with the goal of encouraging “artful activism” in environmental justice and public health movements. Shannon Williams and Chassidy Cooper facilitated their best of state presentation “Academic Coaching: Transformative Success Tools for Undergraduate and Graduate Student Retention” at the NACADA Region 7 conference in Manhattan, Kansas. Fifty-nine participants attended the presentation. 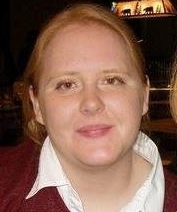 Kristy Carter is coordinating several programs this semester. 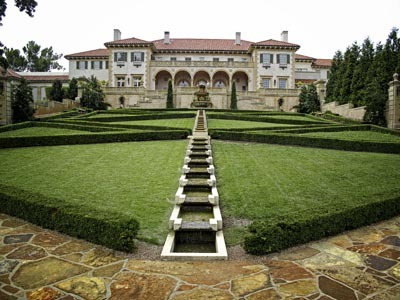 Here is one that we would like to highlight: Technical Assistance for Mayors Program will be held March 15-17, 2016 at theUniversity of Arkansas at Monticello. The technical assistance program is designed to educate Arkansas mayors about the various state and federal resources that are available to help them address affordable housing and non-housing community development issues in an effort to improve the overall welfare of their communities. 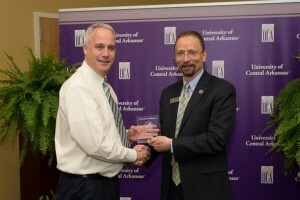 Alum, Dr. Malcolm Glover, recently presented at the inaugural TEDx event at UCA. 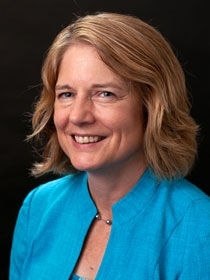 Dr. Glover’s talk was titled “A Return To Civil Discourse: An Idea Whose Time Has Come.” The synopsis is as follows: In an era when argument and innuendo often supersede fact-based discussions about important local, national, and global matters, there must be a return to civil discourse. Civility is necessary in a world fraught with tensions among diverse people who seek solutions to personal concerns and communal problems. By raising the level of civil discourse, mankind moves irresistibly toward a future defined by collaboration, compromise, shared sacrifice, and mutual understanding. 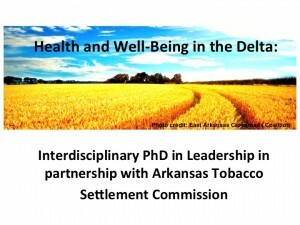 Students from cohorts 2013 and 2014, along with the LEAD program director, presented findings from their field-based research project on health and well-being in the Arkansas Delta. 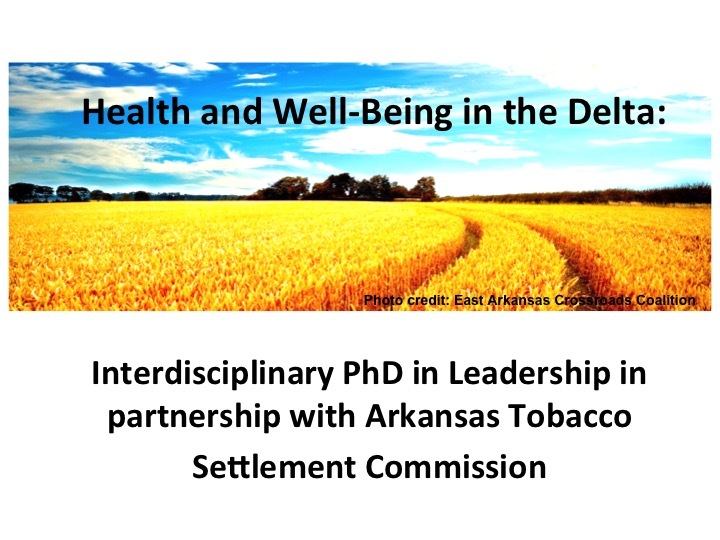 The project is in partnership with the Arkansas Tobacco Settlement Commission (ATSC). Dr. Rhonda McClellan along with Emily Lane, Sarah Argue, and Shanon Brantley presented to the ATSC commissioners and program directors on the progress of their research. Later in the week, this group, along with student Jack Boles, presented at Arkansas State University in Jonesboro at the Arkansas Health Disparities Conference. Leah Horton is also a member of the research team and her work was presented at both ATSC and ASU. Congratulations to everyone involved for their hard work. Keep it up! 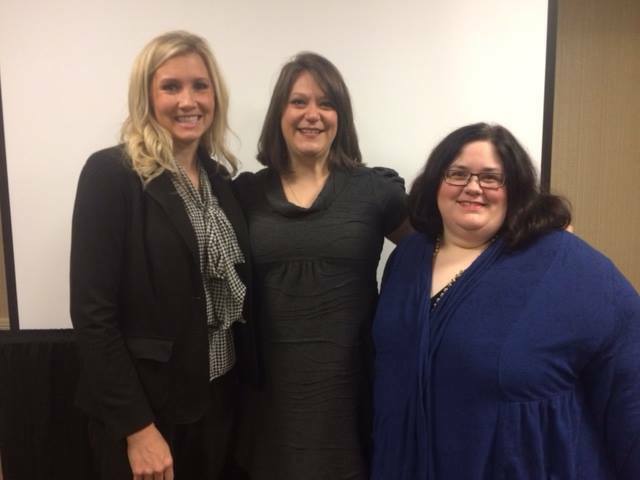 Dana Tribble, Sarah Argue, and Amy Thompson presented at the 2015 Mid-South Educational Research Association conference in Lafayette, Louisiana. Amy also won a $100 Research-in-progress award. Way to go ladies. 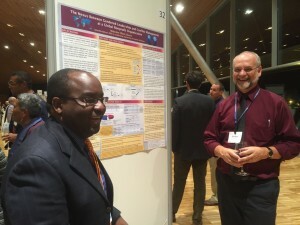 Several students and affiliated faculty presented original research at the International Leadership Association conference in Barcelona, Spain in fall of 2015. Students who presented included Sarah Argue, Leah Horton, Mariama Laouali Balla, Diane Wolfe, Malcolm Glover, Michael Blanchett, Katherine Ligon, and Jamie Stacks. 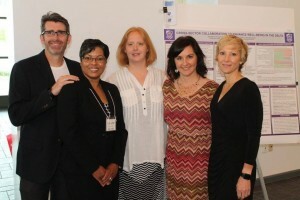 LEAD Program Director, Dr. Rhonda McClellan, and affiliated faculty member, Dr. Tim Atkinson presented research as well. Congratulations to everyone for their hard work! Mara Cawein travelled to Orlando to attend the biennial convocation of Kappa Delta Pi, an international honor society in education. 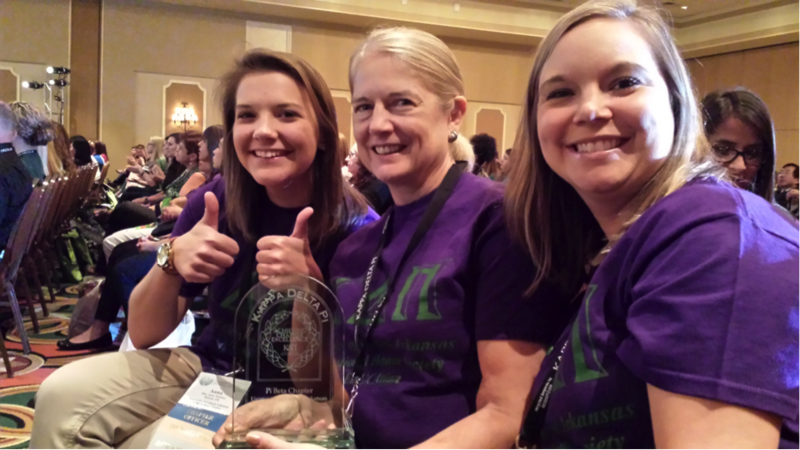 Mara is counselor for the Pi Beta chapter at UCA which received the ACE Award for chapter excellence. The chapter participated in a poster session and two workshop sessions: “Strengthening Technology Pathways: Connecting Homes, Communities, and Classrooms” by Mara Casein, Jewel Windsor, and Sammi Hantz and “National Board Certification as Professional Development” by Mara Cawein and Casey Cawein. 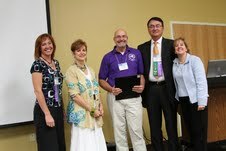 In addition, Mara received a certificate for 10 years of service as a chapter counselor. Keep up the excellent work and leadership, Mara! Henry Jones has been busy with a new program aimed at empowering parents in the school community. Henry explains more about the 8-week Parent Champion Circle, “Our circles are designed to give parents an understanding of the state of education and what roles parents can play in improving public education from an academic stand point as well as advocacy.” Keep it up, Henry! Shannon Williams and Chassidy Cooper recently presented at the Partners of Student Success Conference. 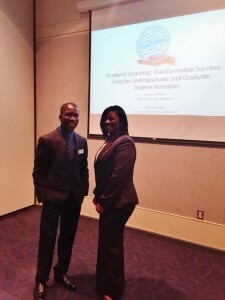 They presented “Academic Coaching: Transformative Success Tools for Undergraduate and Graduate Student Retention.” The presentation received the highest evaluation at the conference. As a result, Chassidy and Shannon earned “Best of State” and will be representing ArKAAN at the Regional NACADA conference in Manhattan, Kansas in February. Way to go you two! 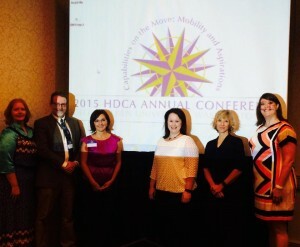 S everal students, our program director, and an affiliated faculty member attended the 2015 Human Development and Capabilities Association Conference at Georgetown University. Five students (Emily Lane, Jack Boles, Shanon Brantley, Leah Horton, and Sarah Argue) along with Dr. Rhonda McClellan presented findings from a field-based research project focusing on health and well-being in the Arkansas Delta. Students Leah Horton and Mariama Laouali Balla presented their dissertation work which focuses respectively on environmental leadership in Rwanda and girls’ education in Niger. 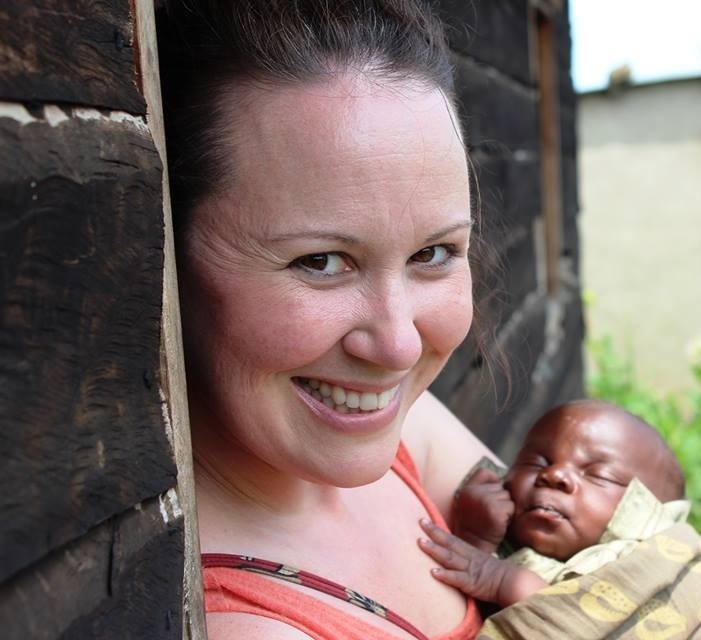 Dr. Jayme Stone assisted Leah with her work in Rwanda. 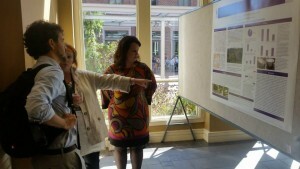 Emily Lane presented at a Land and Water Conference at Brown University. Emily’s project used GIS to illustrate environmental degradation in central Arkansas and focused on the effects that pollution has on the social fabric of local communities. Congratulations on your presentation, Emily. Congratulations to Courtney Mullen who recently has accepted the position of Director of Admissions and Enrollment Services at UCA. Welcome, Courtney! We know you will do well. Jack Boles has been honored with the President’s Volunteer Service Award for his work with Winrock International. Way to go, Jack! Your passion for volunteer service shines through! Congratulations to Barrett Petty. 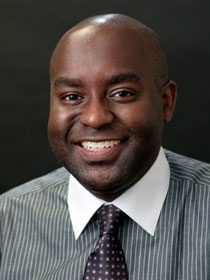 His proposal “Obtaining a Baccalaureate Degree: How High School GPA and ACT Score Affect African American Males” was accepted to the 2015 Association of Teacher Educators conference. The conference will be held in February, in Phoenix, Arizona. Way to go, Barrett! Malcolm Glover engaged community leaders and advocates from across Arkansas in a workshop on Community Deliberation. 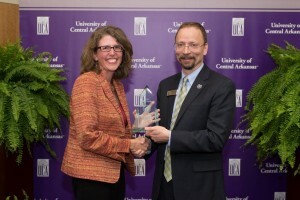 The event was hosted by the Center for Community & Economic Development at UCA. Great job, Malcolm! 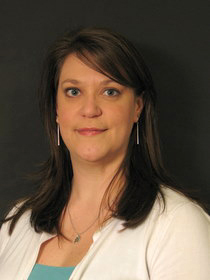 Amy Thompson recently presented at the Mid-South Educational Research Association conference in Knoxville, Tennessee. Amy worked with Drs. Cotabish, Dailey, and Gallavan on this project, and all are very honored to have been accepted to the 2015 AERA conference to present! 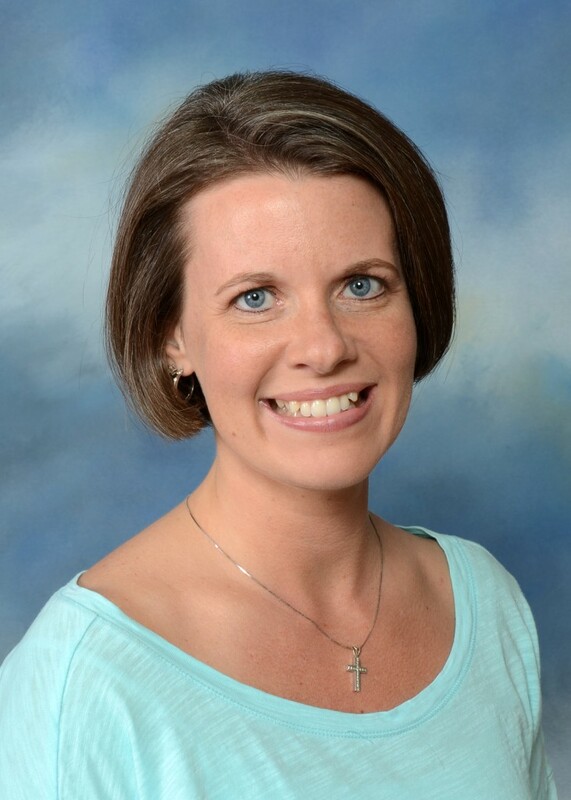 The project is titled “Using Formative Assessment to Provide Differentiated Learning Opportunities: Mentor Teachers’ Beliefs and Practices.” Congratulations, Amy! Emily Lane recently released data from a two-year study she collaborated on that looked at air pollutants in the Fayetteville Shale natural gas play in north central Arkansas. The research was a part of a 5-state study of pollutants around oil and gas development, particularly the hydraulic fracturing (or fracking) process. A sixth state (New York) also was involved in the study, but they are not included in the academic journal article published by Environmental Health. Emily’s and her colleagues also released a national report on October 30th, 2014. National Geographic also covered the report release that showed dangerous levels of chemicals around oil and gas sites. A total of 18 students from three cohorts and two faculty members attended the 2014 International Leadership Association’s conference, which was held in San Diego, California. 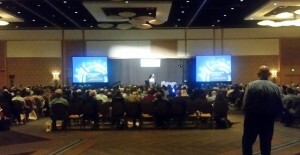 The conference theme was Conscious Leading for Global Change: Emergence of our Collective Realities. 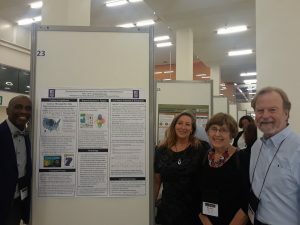 Presentations from students and faculty included a study of economics of educating women in Arkansas, literacy action in higher education, leadership development and community engagement, and several other topics that focused on improving quality of life markers in Arkansas. 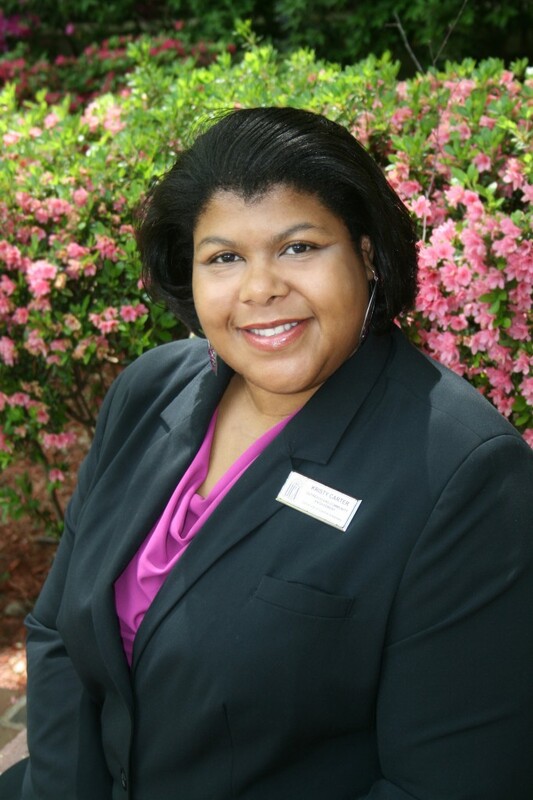 Harvell Howard is being recognized by the Winthrop Rockefeller Foundation (WRF) as an outstanding nonprofit leader as part of WRF’s 40th Anniversary and Year of the Nonprofit Leader. Harvell will be officially recognized in December at the Clinton Presidential Center. Way to go! Click here to see an interview with Harvell! 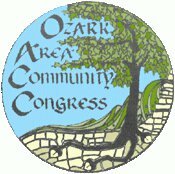 Emily Lane attended and presented at the 35th annual Ozark Area Community Congress in southern Missouri. Her presentation focused on environmental health and regulatory issues related to unconventional natural gas production in the Fayetteville Shale in north central Arkansas. Emily Lane recently screened her documentary film at the Tulsa Garden Center in Oklahoma. The film focuses on the Guy/Greenbrier earthquake swarm that was triggered by disposal of waste from unconventional processes of natural gas production. Congratulations on the screening, Emily! 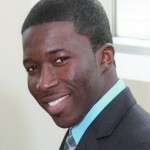 Lonnie Jackson recently co-authored a piece on servant leadership that was accepted for publication in a new journal focusing on servant leadership. The title of Lonnie’s article is: “Are servant leaders born or made?” Find a link to the journal here. Jack Boles is currently working with Winrock International and ACI Agribusiness to establish an agricultural advisory service and Extension program to empower Bangladeshi smallholder farmers to improve their quality of life. This will also be a major step toward food security for the nation of Bangladesh. Keep up the good work, Jack! Safe Travels! Amy Thompson has recently been named the MAT program Coordinator in the Teaching and Learning Department at UCA. Congratulations Amy! 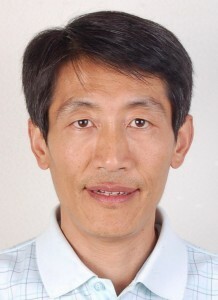 Congratulations to Luan Zhi. His paper entitled “An introduction to Three-in-One School Counseling Theory” was one of five papers that was accepted into Graduate Student Council of AERA (American Educational Research Association). Barrett Petty has recently been selected as a member of the review board for a new online journal: Transforming Education. Congratulations Barrett! 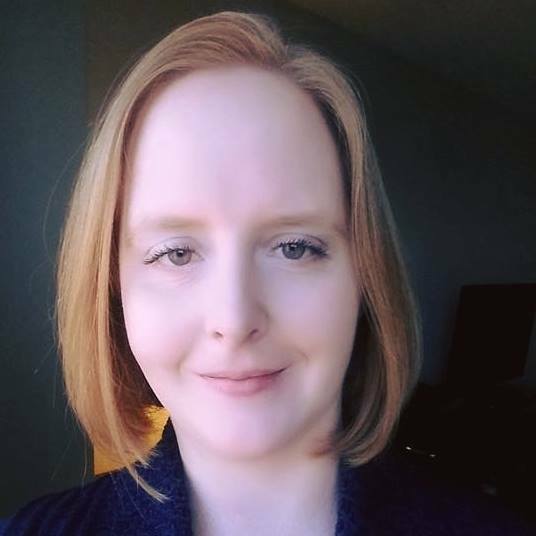 Congratulations to alum, Dr. Hunter Phillips Goodman, for having her dissertation summary selected for print in the Journal of Higher Education Outreach and Engagement! Dr. Goodman’s dissertation research explored the role of university leadership in civic engagement within private liberal arts institutions. Congratulations to Jamie Stacks who has accepted a temporary position as an emergency hire in the Leadership Studies Department here at UCA. 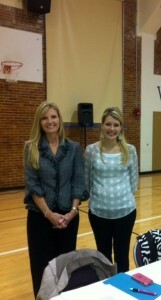 She will be a great addition to an already phenomenal staff. 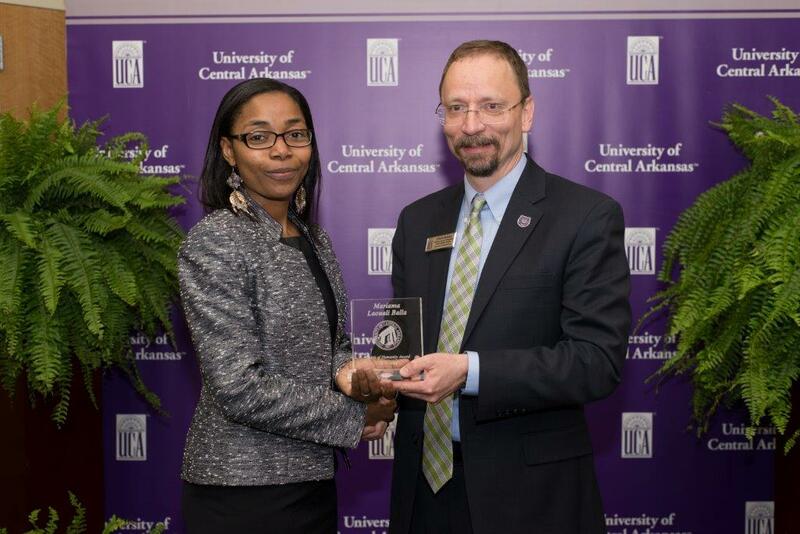 At UCA’s inaugural service-learning awards ceremony in April, three of six awards were given to students in the Interdisciplinary PhD Leadership Studies program in the College of Education to recognize their exemplary commitment to and excellence in service-learning and civic engagement. 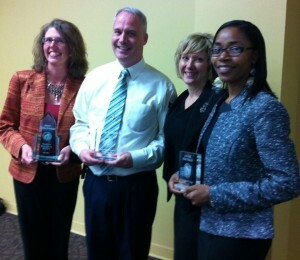 The “Service-Learning Champion” award was given for development of the program. Katherine Ligon, a native of Ukraine, discussed the crisis in her home country at the College of Business on UCA’s campus, and she plans to speak about the crisis on future dates around campus. Please stay tuned to our Facebook page for updates about upcoming lectures on this important global issue. Emily Lane and her nonprofit organization, ArkansasFracking.org, co-hosted a conference in mid-March in Conway with Coming Clean Collaborative (a national organization focused on toxic chemicals and environmental justice). 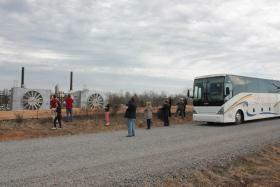 They engaged conference goers and local media in a toxic tour of Northern Faulkner County and the Fayetteville Shale natural gas play. The tour was featured on the front page of the Log Cabin Democrat. See story here. 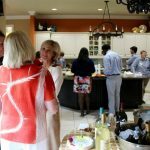 LEAD students and faculty collaborated with the Stuttgart Chamber of Commerce to help in the development of the city’s emerging leaders. 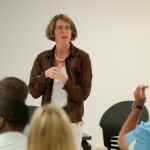 Students and faculty lead four leadership development workshops in the spring of 2014. 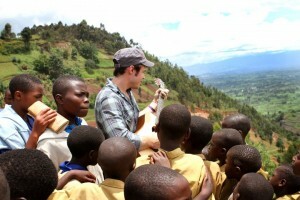 The project also provided students the opportunity to examine their own experiences and development as emerging leaders. 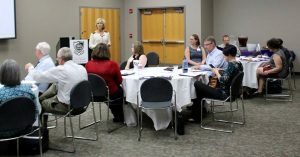 Wes Alford and Tim Bullington, along with LEAD director Rhonda McClellan, recently presented findings from the Community Development and Graduate Draw and Retention research project to leaders from the City of Conway, City of Conway Chamber of Commerce, UCA, Hendrix, and Central Baptist College. 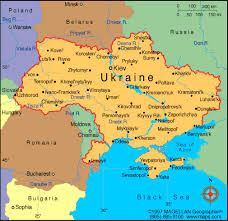 This research was also presented at the 2013 Conference of the International Leadership Association in Montreal, Canada. This project represents a year of work from seven LEAD students. 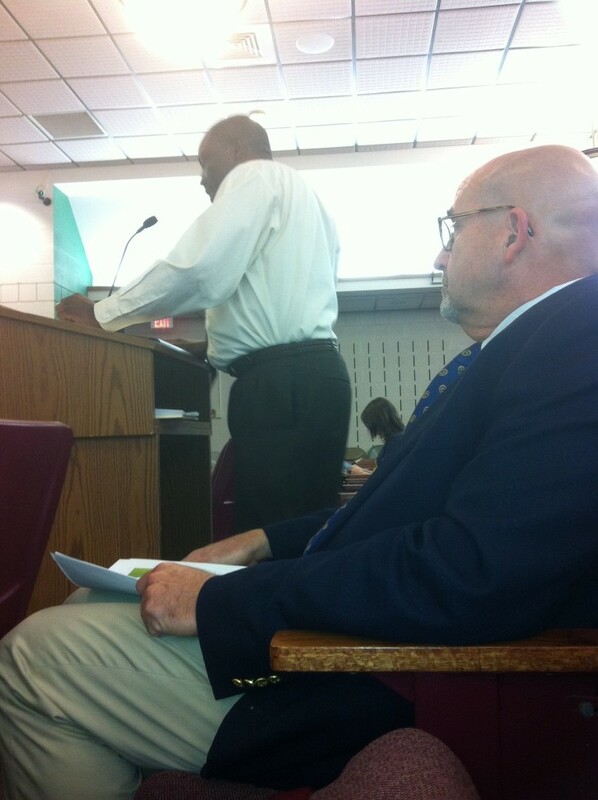 Craig Lindholm and Michael Blanchett, along with other members of the Conway Parks Project research team, recently presented progress reports to members of the Conway City Council. 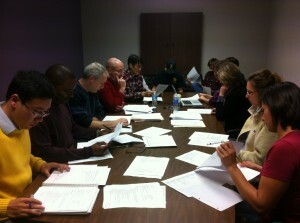 Team members also worked on scheduling town hall meetings to discuss the project with the public. Learn more about the Parks Project here. 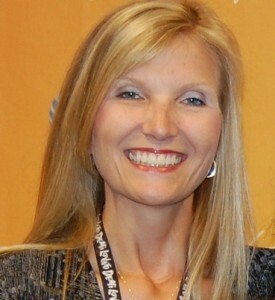 Sara Brown was named the Director of Development for National Park Community College in Hot Springs. Congratulations, Sara! A group of LEAD researchers recently presented their research proposal to the board of the Women’s Foundation of Arkansas. The proposed research will examine the economics of educating women in Arkansas. Watch for more on this project in the coming year. 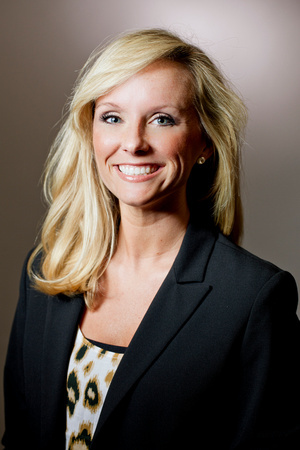 Congratulations are in order for Kristy Carter! 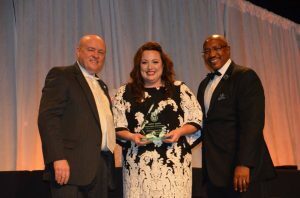 Kristy was announced as the recipient of the Advocate for Opportunity award from the Minority Enterprise Development committee, an arm of the Conway Area Chamber of Commerce designed to foster growth and sustainability of minority businesses. The Advocate for Opportunity award recognizes an individual who has demonstrated significant accomplishments in educating and advocating for minority business enterprise. 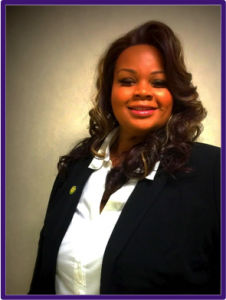 Kristy serves as the Executive Director of the Division of Outreach and Community Engagement at UCA but she also volunteers her time and talents to assist minority entrepreneurs and minority-owned nonprofits and small businesses with branding and marketing initiatives. 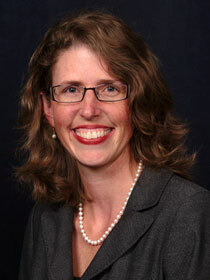 Congratulations to Hunter Phillips Goodman on her book review in The Journal of Nonprofit Education and Leadership. 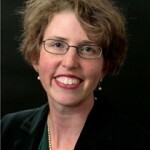 She reviewed the book The Power of Social Innovation: How Civic Entrepreneurs Ignite Community Networks for Good by Stephen Goldsmith. Craig Lindholm presented at the Community Development Institute (CDI) about how community leaders can act as Network Weavers when working on community development projects. 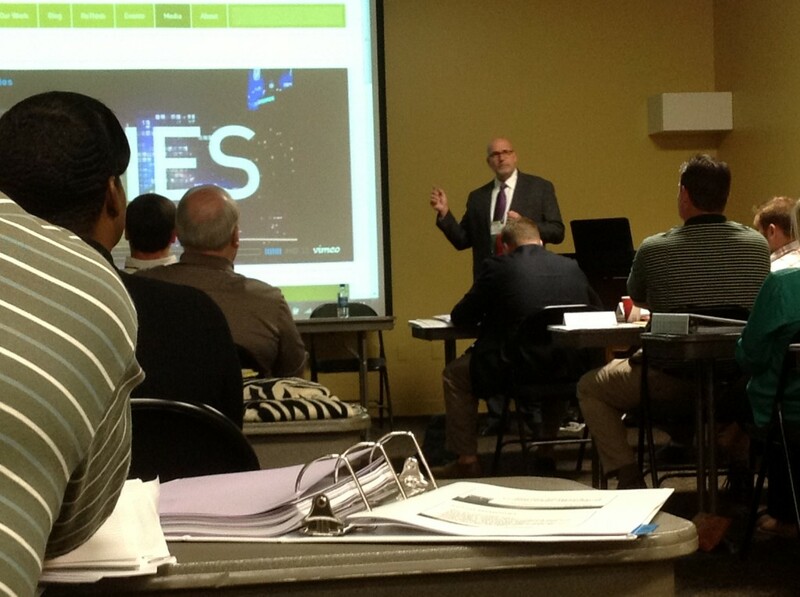 CDI trains community and economic development professionals in Arkansas and surrounding states. The institute builds the capacity of individuals and communities to positively impact economic and social development. This is achieved by expanding individual’s ability to identify community assets, set goals, encourage collaboration and partnerships with stakeholders, and bring together groups of people to respond to a broad range of economic and quality of life issues. Craig is a graduate of CDI and the recipient of the Ernest Whitelaw Award. 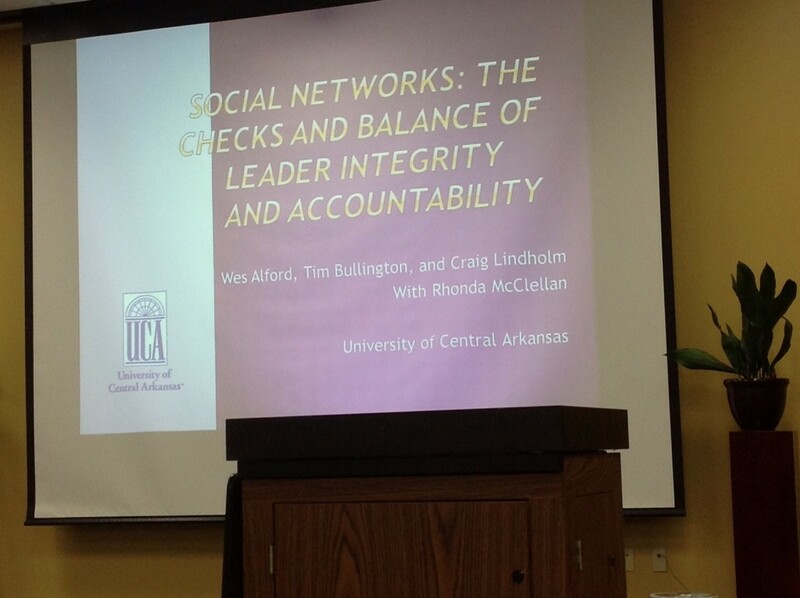 Wes Alford, Tim Bullington, and Craig Lindholm presented at the National Conference of Academic Deans. 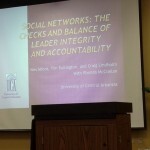 The presentation focused on how provosts, deans, and associate deans can connect informal social networks that exist within organizations in an effort to create collaborative and ethical academic communities with shared accountability. 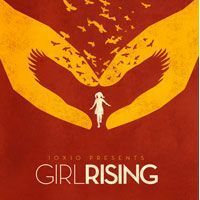 Leadership students and faculty partnered with officials from The Women’s Foundation of Arkansas and UALR to show a documentary titled “Girl Rising.” The film tells the story of nine girls from nine different countries who buck the status quo and seek knowledge because they believe education offers hope for a brighter future and an escape from poverty and and persecution. This film in important to Arkansas because recent statistics reveal that one in four young women in the state do not complete their high school education. 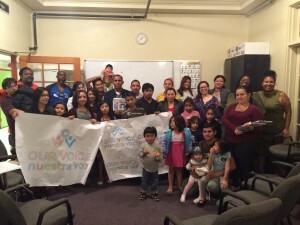 Read more about the event in the KUAR article by student Malcolm Glover. Jamie Stacks, Jenny Hunt, Diane Wolfe and LEAD Director, Dr. Rhonda McClellan participated in a panel discussion with members of the Women’s Foundation of Arkansas after a screening of the movie “Girl Rising.” The panel discussed statistics about women in Arkansas and took questions from members of the audience. LEAD students are working with faculty and students from the GIS masters program as well as the Environmental Science program to prepare a City Parks Master Plan for Conway. 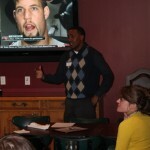 Harvell Howard recently spoke to the Little Rock chapter of the Young Nonprofit Professionals Network. 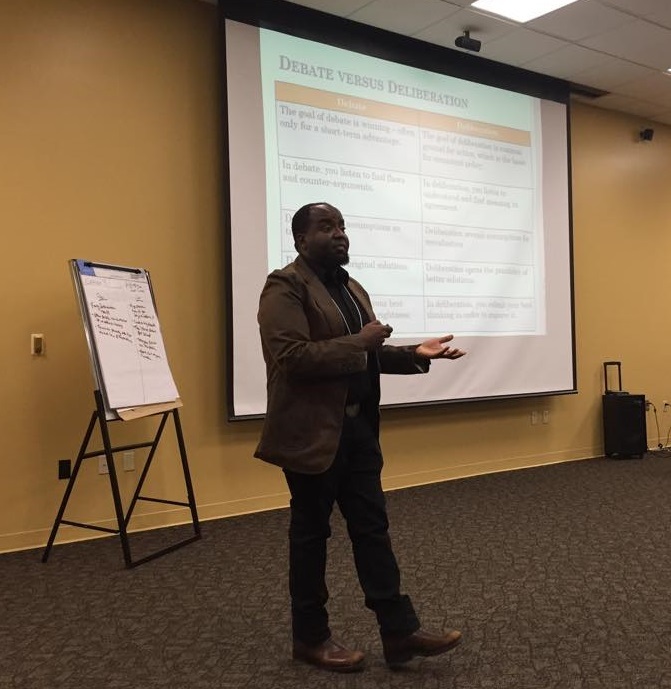 Harvell shared his experiences working in the nonprofit sector and provided tips on building a professional network in order to create positive community change. 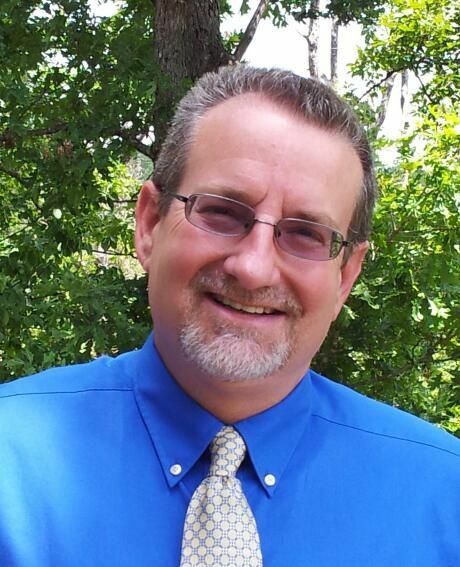 Craig Lindholm was recently certified as a Professional Community Economic Developer. Only professionals with adequate applied experience can take the certification exam. 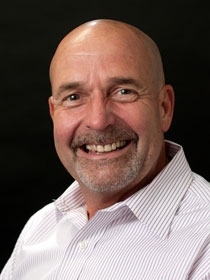 Craig was able to sit for the exam due to his extensive background and experience in community and economic development and because of the preparation he received by participating in the Community Development Institute at UCA. Craig serves as the Executive Director of Community Redevelopment and Grants for the City of Texarkana, Texas and as Health Director for Bowie County, Texas. 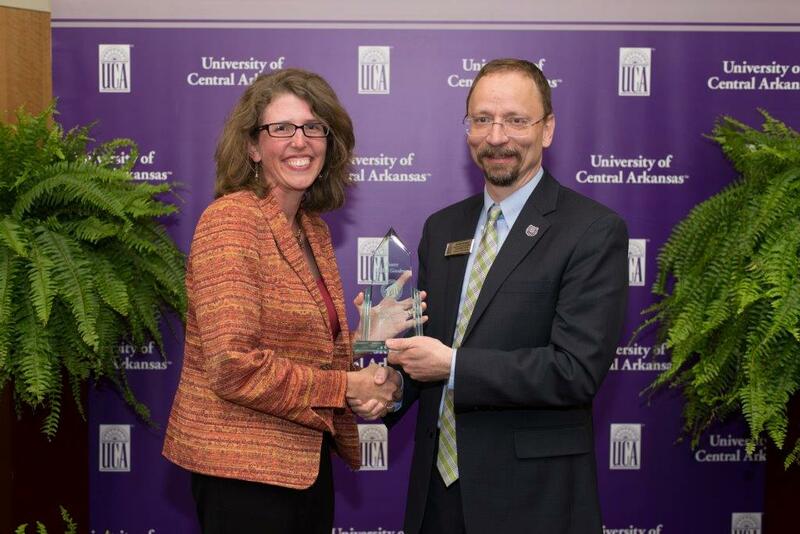 UCA’s Division of Outreach and Community Engagement, directed by Kristy Carter, and the Community Development Institute, which is held on the campus of UCA, were the recent recipients of the Governor’s Quality Challenge Award by the Arkansas Institute for Performance Excellence. The Challenge Award is the starting point for any organization interested in adopting and applying quality principles to attain performance excellence. Read more about this story on the Division of Outreach’s blog. Mara Cawein and Dr. Patty Phelps of the College of Education recently submitted a book chapter proposal to Kappa Delta Pi, the international honor society in education. Sixty two proposals were received by Kappa Delta Pi and theirs was one of only twenty accepted for development and inclusion in the book. 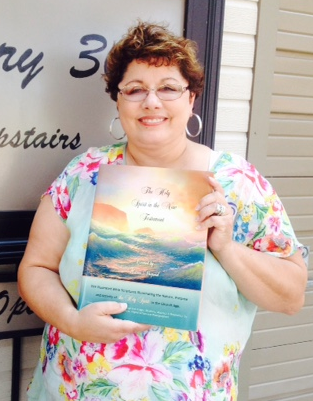 The chapter is on teacher leadership among nationally board certified teachers. 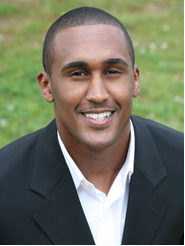 Malcolm Glover was recently named to Arkansas Business’ list of the “The New Influentials: 20 in their 20s.” Congratulations, Malcolm!! 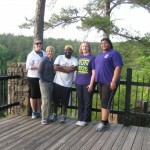 Damond Jackson was recently named as the University of Central Arkansas’ first SREB Doctoral Fellow. The fellowship assists minority graduate students interested in pursuing careers in academia. Read more about Damond and his fellowship in an article by the Log Cabin Democrat here. 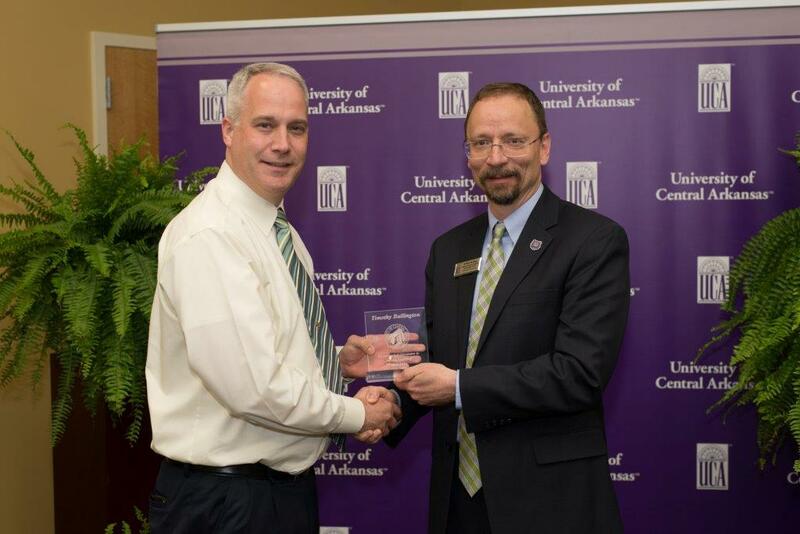 Craig Lindholm recently completed the 3-year program at the Community Development Institute (CDI) held on the campus of UCA. Craig was also selected by his peers in CDI to be the recipient of the Ernest Whitelaw Award. 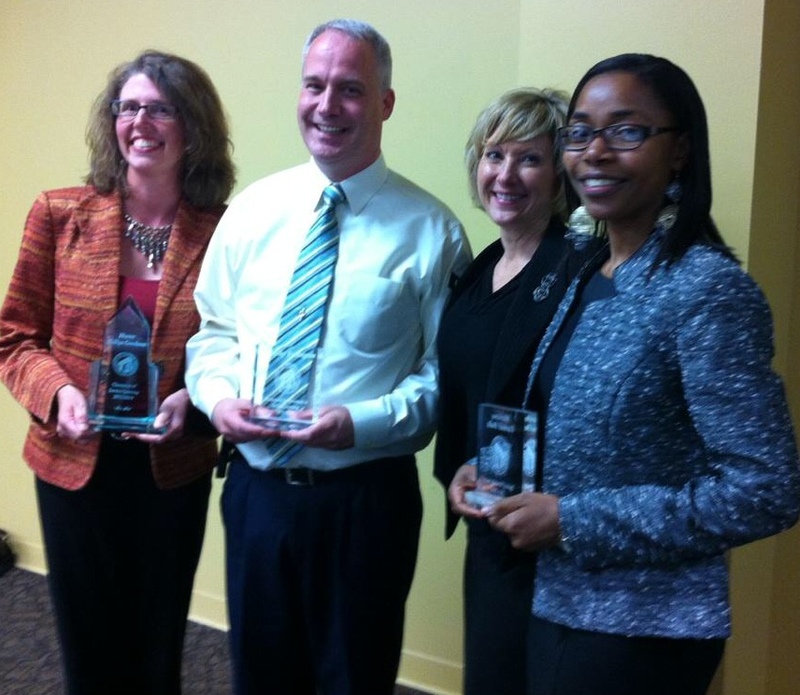 Recipients of the Whitelaw Award exemplify the highest standards of dedication to the field of community development and demonstrate strong leadership throughout their CDI experience. 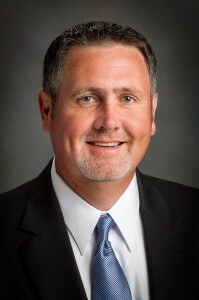 Craig serves as the Executive Director of Community Redevelopment and Grants for the City of Texarkana, Texas and as Health Director for Bowie County, Texas. Learn more about the Community Development Institute here. 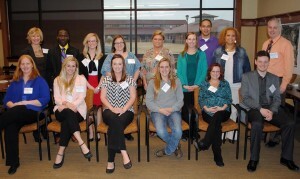 Hunter Phillips Goodman, a member of the inaugural class of the LEAD program, completed her second year of teaching the Working with Nonprofits course at the Community Development Institute held on the campus of UCA. 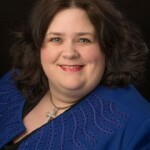 For six years, Hunter served as Executive Director of Arkansas Coalition for Excellence (ACE), Arkansas’ association for nonprofit professionals, businesses, individuals, and foundations invested in Arkansas’s nonprofit sector. Wesley Alford and Hunter Phillips Goodman and faculty members Dr. Amy Hawkins, Dr. Tim Atkinson, and Dr. Rhonda McClellan lead a panel discussion at the International Leadership Association’s annual conference in Denver. 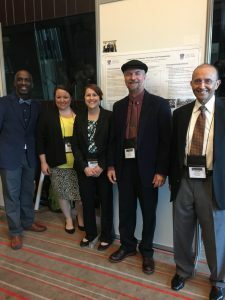 The panel discussed the shared experiences of faculty, staff and students involved in implementing an interdisciplinary Ph.D. program at a primarily undergraduate institution. The emphasis was on overcoming traditional boundaries in Higher Education to establish an innovative doctoral program.